Las Vegas is home to bustling streets filled with tourists, locals, and everything in between. In a city filled with round-the-clock distractions for both motorists and others on the road, traffic accidents are an everyday occurrence. 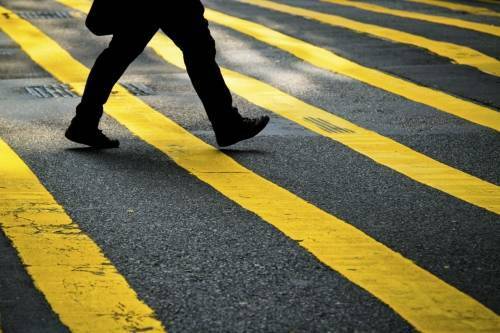 According to statistics and safety experts, Las Vegas is also seeing a rise in accidents involving pedestrians. Vegas may not be the most dangerous place in the country for pedestrians, but recent trends have local officials concerned. In fact, a recent article from the Los Angeles Timesprofiled a strange tactic law enforcement use to test whether local drivers yield to pedestrians as they should. They had someone dressed as a leprechaun pose as a pedestrian. The many drivers who didn’t stop and give the right of way were ticketed. Here are a few stats from the National Highway Traffic Safety Administration (NHTSA) regarding pedestrian accidents in Las Vegas. Las Vegas ranked 15 th out of 34 major U.S. cities for pedestrian deaths in 2012. Roughly 2.51 walkers per 100,000 residents were killed. So far in 2015, 12 pedestrians have died in Clark County compared to just 5 during the same period last year. In 2014, a total of 50 pedestrians were killed throughout the city. Most pedestrian accidents take place outside of the strip at major streets and crosswalks. Although negligent drivers are a leading cause of pedestrian accidents, officials have also noted other trends which may contribute to rising pedestrian deaths. These include distracted pedestrians who are engrossed in their cell phones, as well as pedestrians who are under the influence. In response to the alarming rise in pedestrian deaths, local authorities and safety advocates have responded by educating the public, visiting area schools to lecture on crosswalk safety, and handing out day-glow bracelets. Nevada transportation officials have also allocated an additional $10 million to its annual budget to protect pedestrians from distracticed drivers. At Shook & Stone, we know that Las Vegas roadways can be dangerous for both pedestrians and motorists, and we make ourselves available to anyone who has suffered preventable harm. If you have questions about pedestrian accidents and filing a personal injury claim, contact our firm for a free case review.